The CAD for the HOA is complete and the HOA will start tooling as soon as we have sufficient orders. Nearly 200 of these wagons are in service with three operators in five different liveries, and they are used for stone trains from quarries in central England, the Mendips and have also seen service on Anglo-Scottish sand trains for glassmaking. HOA hoppers are used by Tarmac to distribute aggregate from quarries in the Midlands to destinations in the South East. 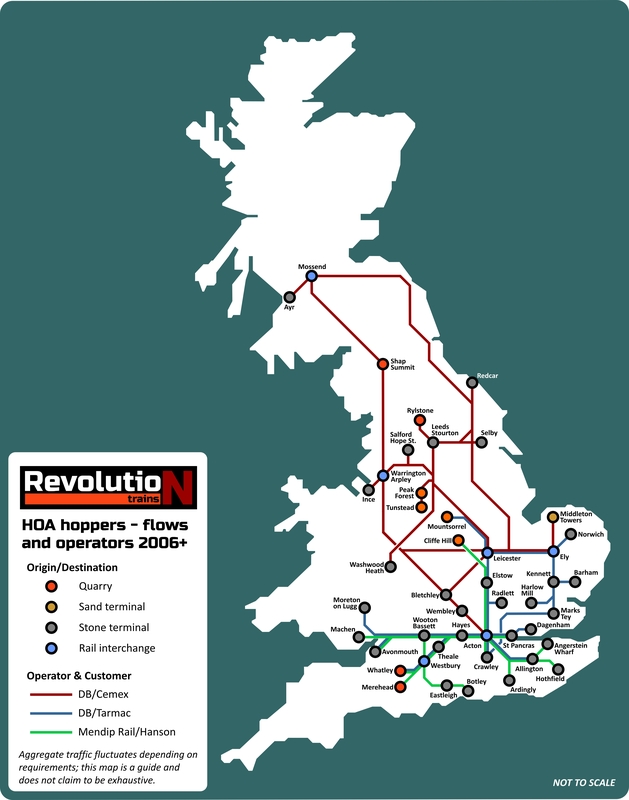 We know our route maps and sample consists are popular, but providing these for the HOAs has been something of a marathon as they are so widespread. Also, with the introduction of the very latest batch for VTG/Mendip Rail they are reaching new destinations – particularly in the South East of England – almost every week. This map is an attempt to show the main quarries and corresponding terminals served by these vehicles. It is not exhaustive and we are certain some flows have been missed! 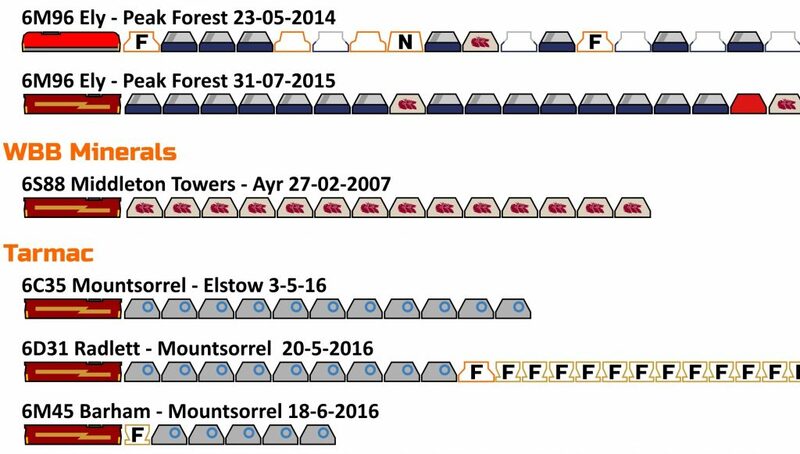 Equally, some of the traffic shown, such as the sand train between Middleton Towers and Ayr, appears to have lasted for a relatively short period. 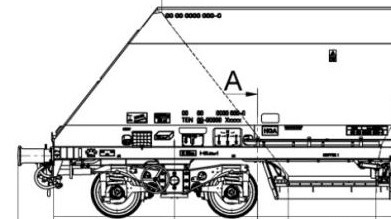 We are working with all three of the wagon owners – DB, Ermewa and VTG as well as the operators Tarmac and Mendip Rail – and have permissions to produce all the liveries these vehicles have carried. The first 68 wagons were delivered in 2006 in EWS Construction colours. Almost immediately a large number were repainted into the blue/grey colours of Cemex, one of the largest customers, and these hoppers, in mixed Trains with those in grey, ran from quarries in the Derbyshire hills to locations across the country. Once EWS became DB Schenker a small number of HOAs were repainted into the new house colour of red. Observations show that the positioning of the DB logo and lettering varies from wagon to wagon; in our triple packs we will replicate this. 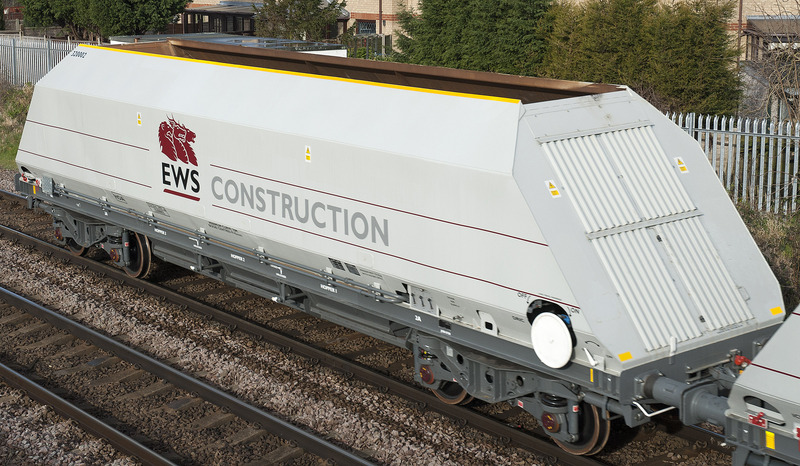 In recent times demand for aggregate traffic has grown, and after identifying a need for more hopper wagons both wagon hire companies Ermewa and VTG decided to place more orders with Astra Rail. 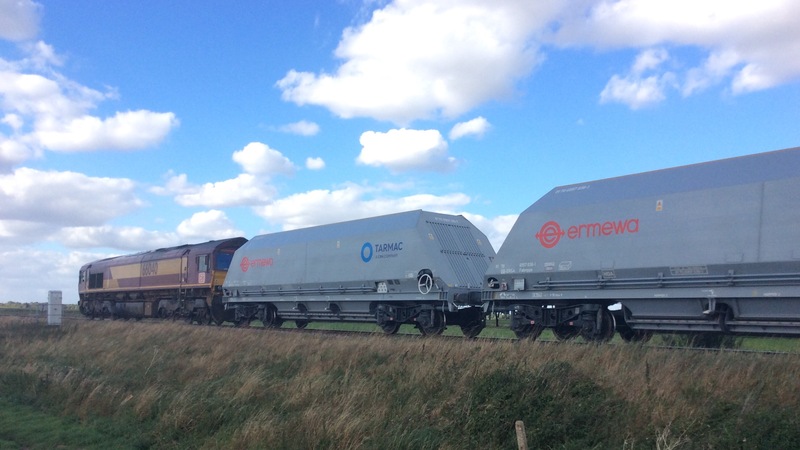 The Ermewa wagons are a pale grey and also include Tarmac branding. Those supppplied to VTG are silver and are used for traffic from the Mendip quarries in Somerset, bearing the VTG logo and that of Mendip Rail. Mendip Rail operate in a pool, and these wagons are often hauled by Class 59 locos in Mendip, Yeoman and Hanson liveries. The sample consists show that in use, these wagons are often operated in mixed trains with some of the many other hopper designs in service, and one of the reasons we selected this wagon is that it complements existing models such as the Farish RMC JGA, the N Gauge Society JGA kit (a slightly different version), the forthcoming Cavalex PGA and the older Farish PGA in Lafarge or Arc colours although while the original painted colour remains the branding is usually painted out. The full example consists PDF can be downloaded here.